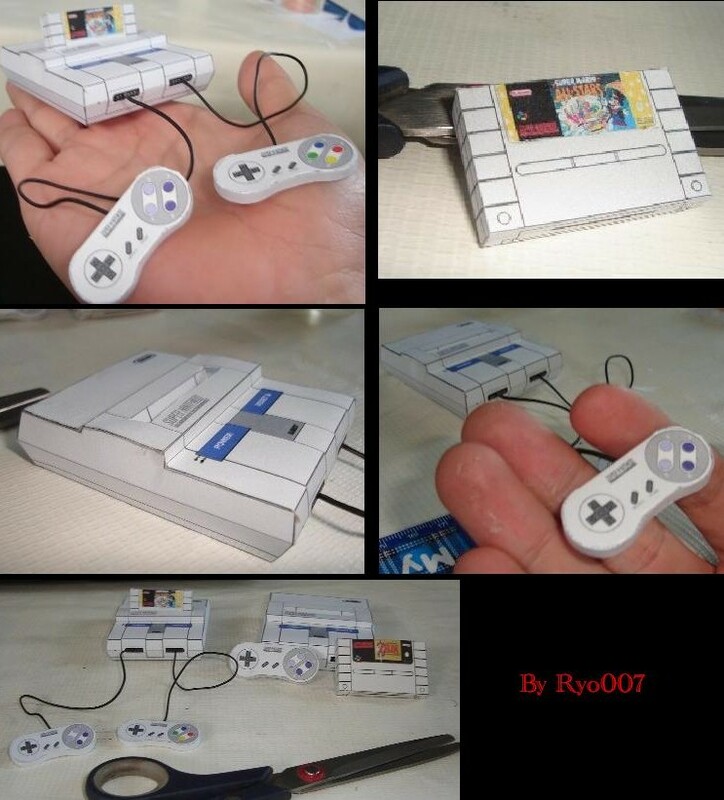 This is a mini Super Nintendo Entertainment System (SNES) paper craft, designed by Ryo007. The Super Nintendo Entertainment System (also known as the Super NES, SNES or Super Nintendo) is a 16-bit video game console that was released by Nintendo in North America, Europe, Australasia, and South America between 1990 and 1993. In Japan and Southeast Asia, the system is called the Super Famicom, or SFC for short. In South Korea, it is known as the Super Comboy and was distributed by Hyundai Electronics. Although each version is essentially the same, several forms of regional lockout prevent the different versions from being compatible with one another.